IBM sold off its x86 server business two years ago to Lenovo, thinking it was exiting a cut-throat, low-margin business. But the cloud has only intensified x86 server chip sales, and IBM is paying attention. The company is adapting a new range of Power servers -- which typically run powerful systems -- for the cloud. The Power E870C and E880C servers, announced Monday, are flexible in handling many tasks and can scale for distributed computing and cloud integration. The new servers, which support Ubuntu Linux and Unix, sound similar to x86 servers powering internal and external clouds at companies like Facebook, Microsoft, and Amazon. But IBM is packing in an extra set of features to make these systems reliable and flexible for public and private clouds. As more data moves from PCs and mobile devices to the cloud, the designs of servers -- which store and process the data -- are changing. There's a growing emphasis on distributed computing and virtualization, which requires servers to be flexible when assigning computing resources to specific tasks. 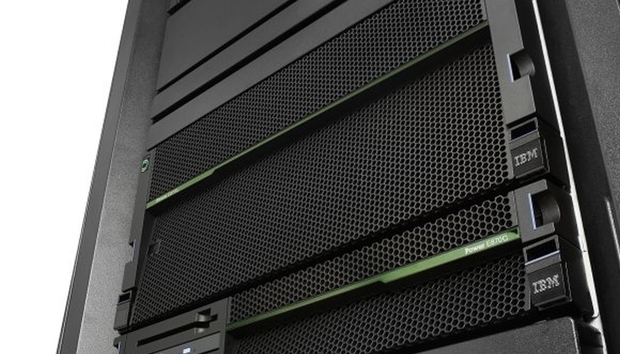 That flexibility helps scale performance while saving power in data centers. IBM's new servers are built with the cloud in mind and have beefed up features for the OpenStack cloud computing software, which is highly scalable and handles large data sets. The servers also have features like IBM Cloud PowerVC Manager, which can set policies and manage compute resources for cloud-related tasks. PowerVM virtualization features are hardwired into the system to improve efficiency. Linux vendor Canonical announced on Monday that Ubuntu OpenStack will be supported across all Power servers. With PowerVC Manager and hardware-based virtualization, the new systems will be better equipped to handle OpenStack than other Power servers. A new feature called HMC Apps as a Service will help push more static data sitting in servers, including cloud, analytics, inventory, and performance data, to the cloud. Mixing databases, enterprise resource planning, and cloud services in a single box is something x86 servers can't do easily. Cloud servers are usually separated from other systems that do analytics and databases, but there are some exceptions, like Hewlett Packard Enterprise's Superdome servers. The new IBM servers will be linked to IBM's Bluemix cloud service, which is used for analytics, data collection, artificial intelligence, and other services. The servers support AIX, IBM i, and Ubuntu Linux operating systems. The systems have Power8 chips and support up to 32TB of memory. IBM said customers would need to contact the company for pricing, which will vary depending on the configuration.